Kannur University Exam Time Table 2018-19 has been released. Candidates can check Kannur University Time Table from this page. The exam date, time, day, paper code, and subject/title can be checked from Kannur University Exam Time Table. Candidates must ensure that they are eligible to appear in the university semester exam. All the eligible candidates must fill the exam form for appearing in the exam. Kannur University issues the hall ticket for all eligible candidates. It is important to carry the hall ticket and valid college id card on the day of the exam. Check the page for Kannur University Exam Time Table 2018-19. Latest: Kannur University has released the timetable Practical Exam for 5th sem (November 2018) B Tech Degree Examination (2007 admission onwards). Kannur University conducts the university exam in semester mode. The exams are conducted at the end of the semester. The exam is conducted by the controller of the exam. The eligible candidates are only allowed to appear in the exam. The candidates appearing for the exam have to follow the university exam regulations. Check the table for Kannur University Exam Time Table 2018. Time Table: Candidates can check Kannur University Exam Time Table at university official website ie, www.kannuruniversity.ac.in. How to Kannur University Exam Time Table 2018-19? Candidates appearing for the exam can check the exam time table through the link provided in the table. The time table will open in the pdf. 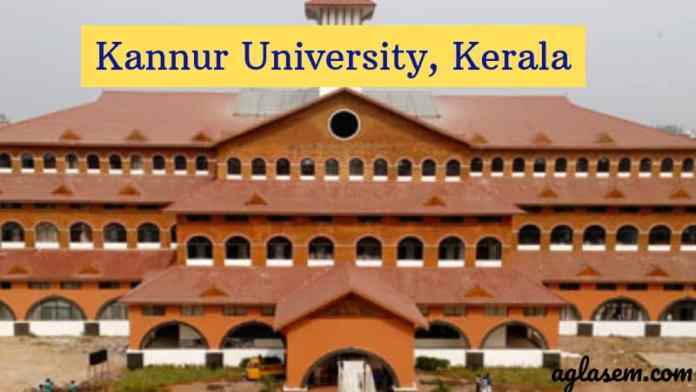 Candidates can check download Kannur University Exam Time Table pdf. Candidates can also follow the steps provided below to check the time table. The University issues the hall ticket for all eligible candidates. To download the hall ticket candidates register number is required. Candidates must download their hall ticket before appearing in the exam. No candidate is allowed to write the exam if he/she appears without Kannur University Hall Ticket. The hall ticket is examined by the examiner in the exam hall.